A growing number of people take energy consumption very seriously these days. You might make little changes here and there throughout your day, such as switching off lights when you leave the room, washing clothes in cold water and turning the thermostat up one degree. You can make many changes at home, but don’t forget about changing the way you drive. If you don’t plan on buying a new car anytime soon, rest assured you can drive greener even if you don’t own a hybrid or electric vehicle. Just follow these tips. If you have three errands to run this week, do them all at once and plan the route so you travel the fewest number of miles possible. If you can, go with a friend who needs to run errands at the same place. Carpool to work and make arrangements for your kids to ride with teammates to soccer or dance practice. All of these efforts decrease the number of miles your car drives every week, which saves fuel. You also end up making fewer trips to the store and spending less time chauffeuring your kids around town. When your tires are underinflated, extra friction between the rubber and the road lowers fuel efficiency. Check your owner’s manual for what the proper tire pressure should be. Then maintain this level by checking the pressure every time you fill the gas tank. If your cooling system isn’t functioning properly, the engine will run at the wrong temperature, which lowers its efficiency. At Scott’s Fort Collins Auto & Repair, we offer cooling system service, which involves checking and adjusting the antifreeze, cooling fan, coolant reservoir, pressure cap and thermostat. When these parts work at maximum efficiency, you conserve fuel. The nozzle at the gas pump shuts off for a reason! The little extra room left in the tank is an important part of allowing the gas to expand into vapor so the car can run properly. In addition, when you try to pump out a few more drops, you mostly just release harmful vapors. This needlessly pollutes the air and increases what you pay at the pump with very little extra fuel in the tank. In addition to being a good way to prolong your car’s life, regular oil changes benefit the environment by helping your car run more efficiently. After all, less strain on the engine means fewer pollutants in the air. Here at Scott’s, oil changes are one of our specialties. The filter becomes clogged with dirt and debris over time, making your engine work overtime to breathe. Reduce strain on the engine by bringing your car to Scott’s for a filter replacement when you have the oil changed. On hot days, park in the shade when you can. If that’s not possible, put up a sun shade under the windshield. This not only improves your personal comfort by lowering the car’s interior temperature, but it reduces the need to run the air conditioner. Since running the A/C consumes more gas and releases more emissions, you benefit the environment by limiting your use of it. Your car experiences a lot of wear and tear. Following a regular maintenance schedule keeps it in good working order. Scott’s offers tune ups to help your car run more efficiently and consume less fuel. Your car has four, six or as many as eight spark plugs. Over time, they corrode, which can cause misfires. Every misfire wastes fuel, which can really add up over time. Replacing old spark plugs therefore improves fuel efficiency and reduces your car’s emissions. We can perform this task for you here at Scott’s. Pay attention to the way you drive. Quick starts and sudden stops waste fuel. Tailgating increases the chance you will need to slam on the brakes. Speeding consumes more fuel. 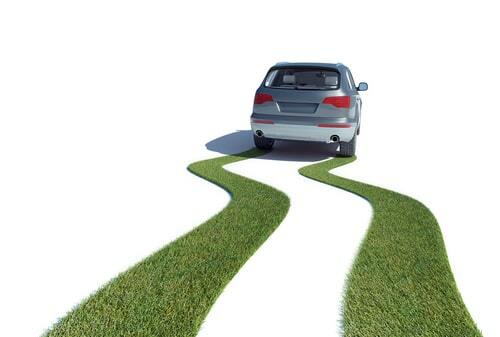 Drive smart and you’ll not only benefit the environment, but you’ll keep you and your family safer. For help implementing these tips, please schedule an appointment online with Scott’s Fort Collins Auto & Repair, call us at (970) 682-4202 or stop in whenever it’s convenient. I took my old van in to Scott's get brakes replaced, after there assessment they let me know that no... read moreI took my old van in to Scott's get brakes replaced, after there assessment they let me know that no new brakes were needed just need to be adjusted. If you are looking for a shop that are knowledgeable and honest and has good rates Scott's Automotive will be your place. Their shop is well organized and clean. I'm looking forward to having a ongoing relationship with this shop for all my vehicles.